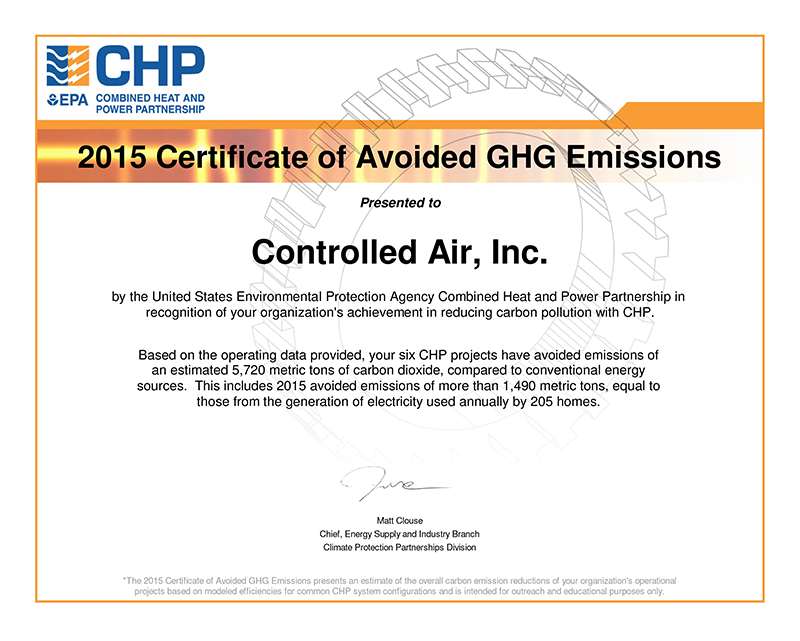 This partnership gives Controlled Air, Inc. access to tools, services, and benefits in the development of CHP. Access to the CHP Emissions Calculator to help us best determine emission savings in your facility with a CHP system. It allows us to submit your CHP Project for the Energy Star CHP Awards and publicity. Information about the fund, rebates, and incentives available to CHP systems. Information about CHP prime movers, including cost and performance characteristics. Current information on state and federal incentives applicable to CHP, including financial incentives and favorable regulatory treatment. Technical white papers and clean energy policy resource documents.